CICERO, the Community Initiative for Cellular Earth Remote Observation, is a constellation of 24+ micro satellites for radio occultation measurements of Earth’s atmosphere and surface remote sensing through backscattered signals from the GPS and Galileo satellite constellations. The system is operated by GeoOptics Inc. and Tyvak Nano-Satellite Systems Inc. acts as the primary contractor for the 6-Unit CubeSats. When conceived, the CICERO constellation was expected to feature 115-Kilogram micro satellites developed by the Laboratory for Atmospheric and Space Physics at the University of Colorado. 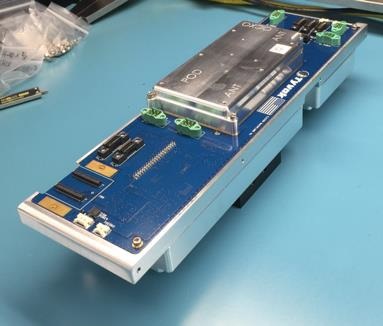 However, drastic miniaturization of the GNSS radio occultation payload allowed it to fit into a CubeSat bus, significantly cutting the cost of deploying the satellite constellation. 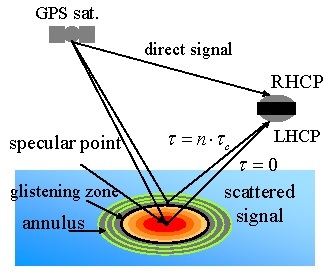 Reflectometry of GNSS signals (using Earth-reflected GNSS signals to obtain information on land & ocean properties) has been proposed in the late 1980s for ocean sensing and in 1993 for ocean altimetry with first tests carried out in the early 2000s. After initial proof-of-concept missions, small GPS reflectometry instruments were developed and the method is now used for remote-sensing with particular focus on ocean surface properties like temperature and wind speed (see NASA’s CYGNSS Mission). 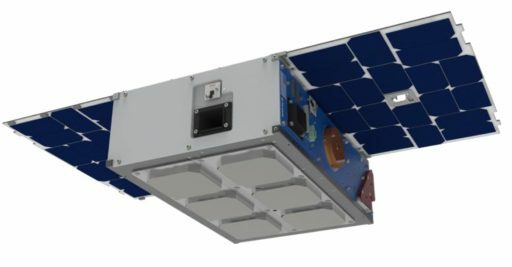 The CICERO Satellites comply with the 60 x 20 x 10-centimeter CubeSat form factor and each weighs around ten Kilograms, featuring a body-mounted and two deployable solar panels with solar cells on their top and underside for an orbit-average power supply of 21 Watts – enabling the CION instrument to operate at nearly a 100% duty cycle. The satellites are three-axis stabilized using Star Trackers as primary attitude determination sensors and reaction wheels and magnetic torquers for attitude actuation. Communications are handled in UHF for command uplink and housekeeping data downlink while payload data is downlinked using a 2Mbps X-Band transmitter. The CICERO satellites have been designed to exploit occultation opportunities for the U.S. Global Positioning System and the European Galileo satellite constellations and a future iteration of the satellites will also support the Russian GLONASS system. For the first batch of satellites, radio occultation opportunities will be calculated on the ground and converted to command sequences for the satellite to enter an optimized orientation for each occultation. 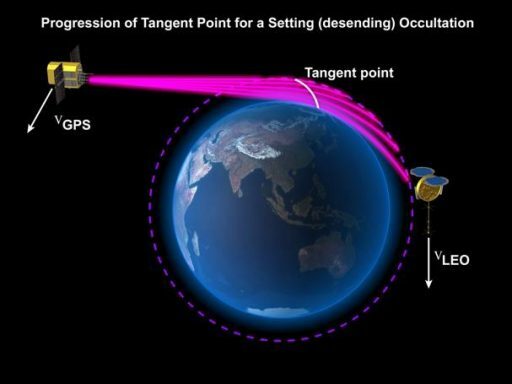 Future satellites will employ an automated algorithm using a propagator with all GNSS satellite orbits and the satellite’s own orbit to autonomously calculate and execute favorable occultation opportunities. 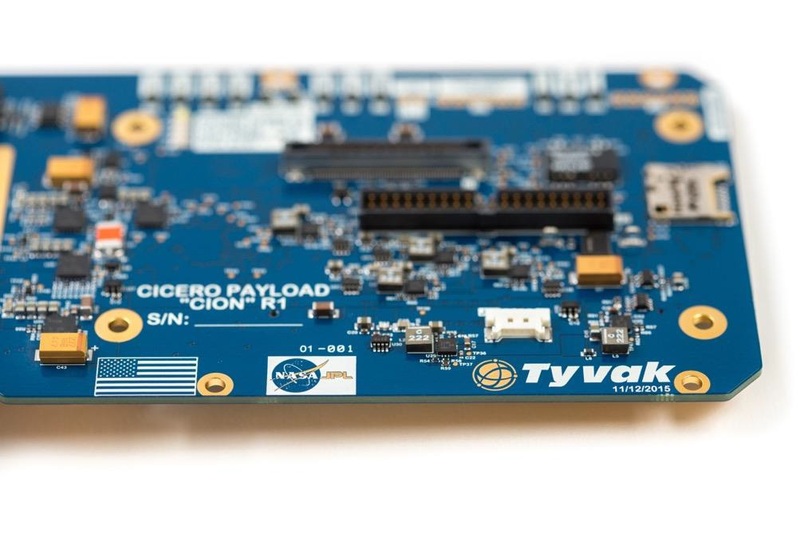 The CION instrument is a miniature GNSS receiver hosting a 2-by-3 patch antenna assembly on the satellite’s underside and associated electronics that digitize and store the received signals. CION fits within a 30 x 10 x 6-centimeter envelope and has a mass of 1.2 Kilograms, supporting three antenna inputs with four down converters each. A 1.2 GHz Dual Core processor builds the brain of the payload and interfaces with 1GB of RAM memory and up to 256 GB of Flash to store payload data. The Digital Signal Processor that accepts the GPS signals and converts them to digital format uses Field Programmable Gate Array technology with in-flight optimization capability. CION can handle up to 16 GPS inputs, or eight L1/L2 dual-frequency inputs at a collection rate of 1kHz, 100Hz or 50Hz. CICERO has been designed with operational aspects in mind, incorporating a high-degree of automation to allow each spacecraft to operate for weeks at a time with a single command uplink containing the planned radio occultation sessions. 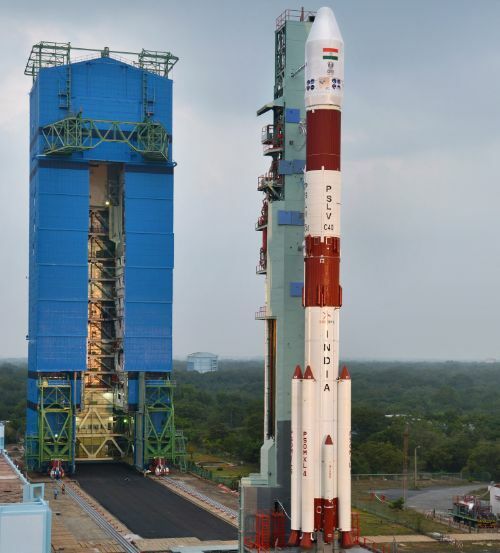 The plan for the CICERO constellation calls for three satellites to be launched in 2017, one on an Indian PSLV into a 500km Sun Synchronous Orbit and two aboard Russia’s Soyuz into a 600km SSO. The second batch of satellites is set for launch in late 2017 or early 2018, again with one launching on PSLV and two flying on Soyuz. Satellites can be built rapidly to be available for opening launch opportunities.